SediMeter Case Studies • Lindorm, Inc. Description: Sediment is being removed from a navigation channel and placed in IJmeer to create new land for the city of Amsterdam. Nearby bottoms are protected by a silt screen. Three SediMeter SM4 are deployed outside the silt screen to monitor turbidity and sediment accumulation, and a fourth instrument is used as a reference farther away. See blog article. 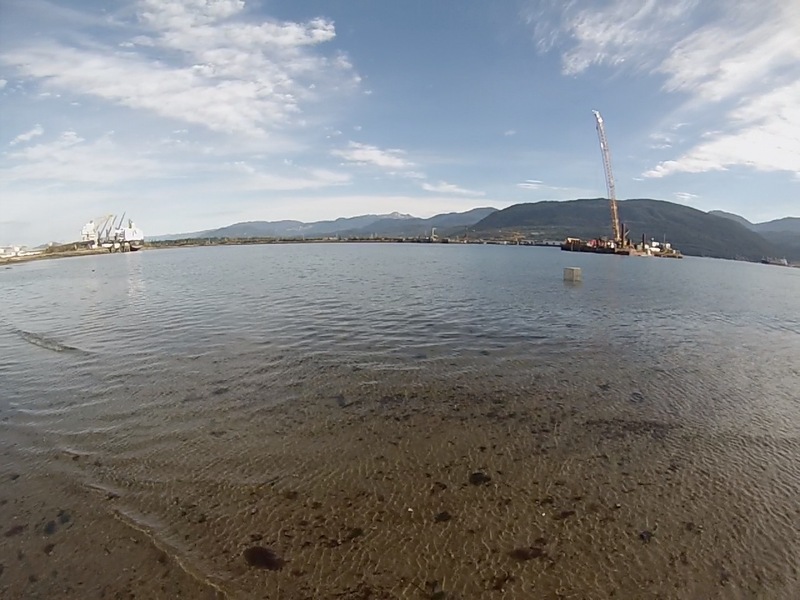 Description: Contaminated sediments must be removed and a new basin dredged for a terminal for LNG Canada. Nearby eelgrass beds should be protected from sedimentation caused by sediment spill from the dredging works, especially if those sediments are contaminated. Three SediMeter SM4 are deployed in the nearby eelgrass beds to monitor turbidity and sediment accumulation, and a fourth instrument is used as a reference on the opposite side of the fjord. See blog article. Description: A SediMeter™ was deployed in this water reservoir in order to collect data on the timing and amount of sedimentation in the water reservoir. Traditional methods include repeat measurements of the bed level, and taking of sediment cores, but they only allow the measurements of the net change between measurements, and are unable to register what exactly happens, and when it happens. In order to optimize the methods for decreasing sedimentation and-the other side of the coin-soil erosion, it is important to understand the processes. The SediMeter™ can be used to quantify near-bed suspended sediment, sediment accumulation, and even measure sediment consolidation. It thus gives a lot more information for the scientist or engineer that is trying to come up with ways in which to protect the farmlands from erosion, and the reservoirs from sediment infilling. Zambia field data: At the end of the dry season the bottom is at about 14 cm. 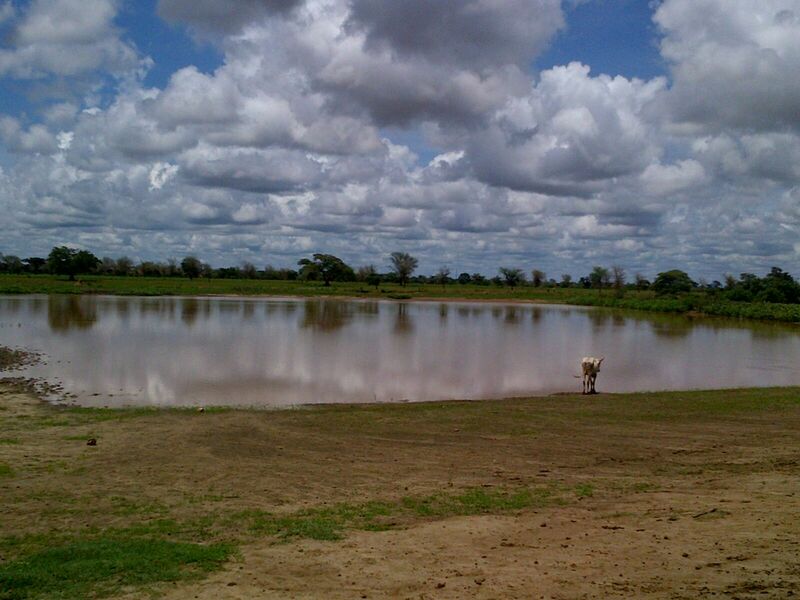 The rains bring in so heavily sediment-laden water that the level of the bottom cannot easily be determined for 2 weeks. When the sediment settle out of suspension the bottom level has risen by about 5 cm. We also observe changes in the darkness of the previously deposited sediments. Description: In 2007, the Port of Olympia found elevated levels of dioxins in an area scheduled for maintenance dredging. The contaminated sediments have since been dealt with. During this project SediMeters™ were deployed in the area to monitor for near-bed elevated turbidity levels. 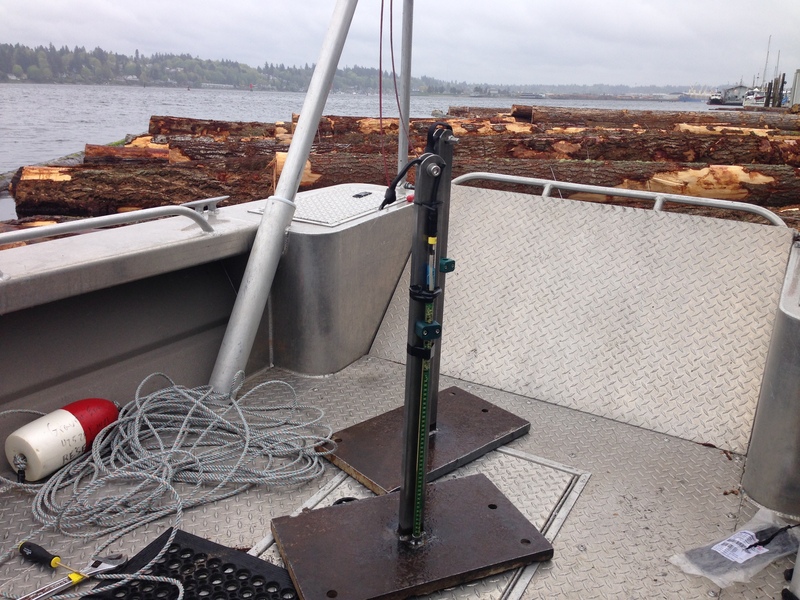 The SediMeter™ instruments were mounted on steel platforms for sedimentation measurements in the Budd Inlet. Description: The northern part of the Caspian Sea has a large input of sediments from the Volga and Ural rivers, and the depth is only around 5 meters in a large area. 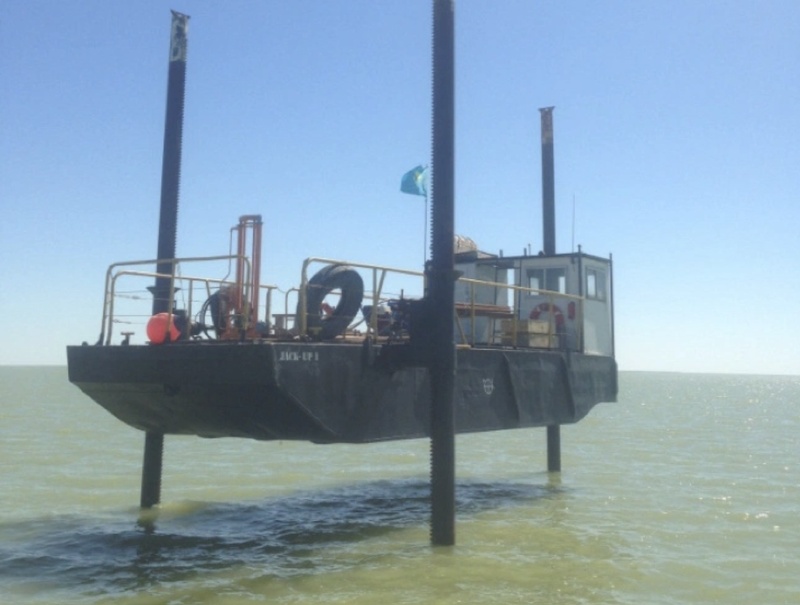 A harbor development plan in Kazakhstan required the dredging of a 70 km long navigation channel through this area. SediMeter™ instruments were deployed to assess the sedimentary environment, taking advantage of their ability to measure the near-bed turbidity. 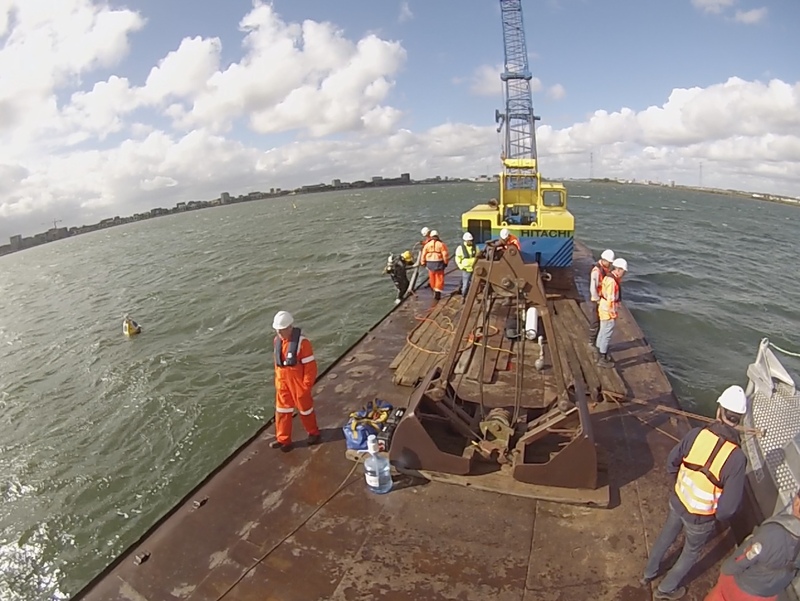 The SediMeter™ can also be used to detect the presence of bedload transport as opposed to suspended sediment transport, and to measure the infilling of the navigation channel post-dredging. 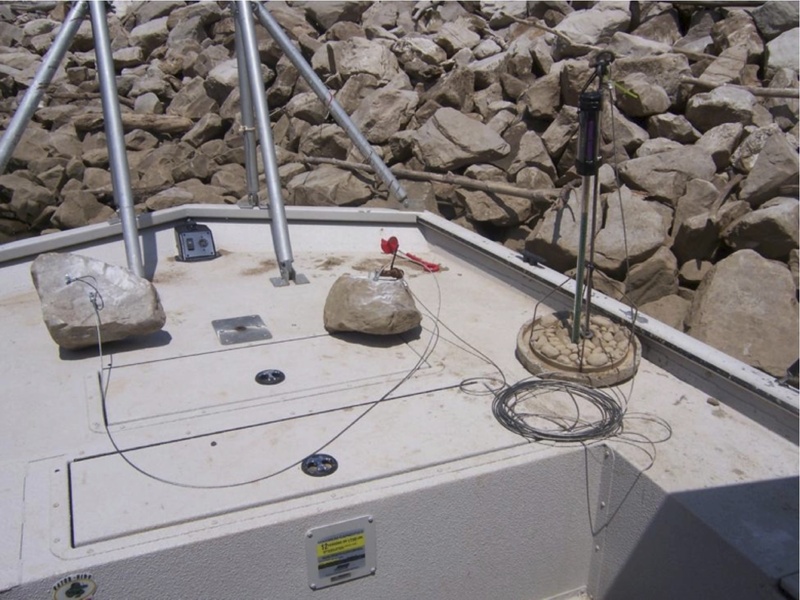 Description: SediMeter™ instruments were deployed in the Ohio River, West Virginia, to measure sediment deposition over mussel beds during maintenance dredging on the river.